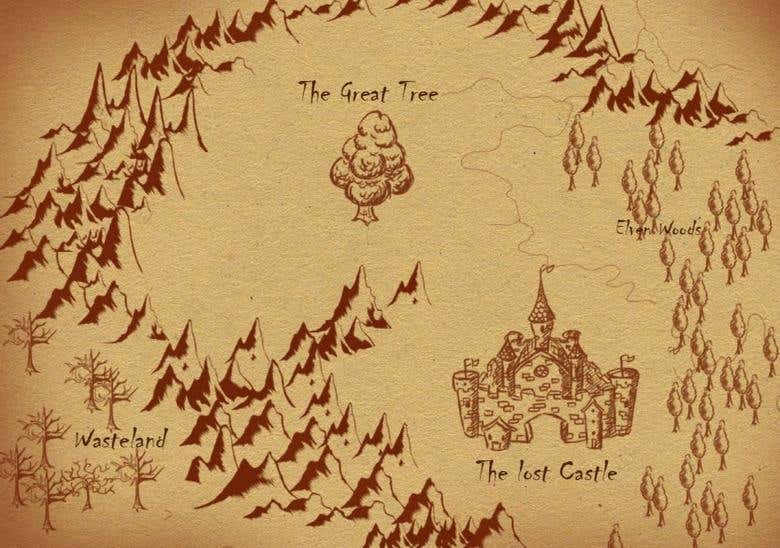 A map in fantasy style. Details that can be included: terrains, trees & foliage, animals, buildings. Everything is customizable & original.